Disable certification validation rule (CVR) CERT125 (Missing In-School Suspension Data for a student who was reported as attending in-school suspension). Merge the CERT125 validation into CERT127 (Student Discipline Data for a student who was reported as absent due to either out-of-school suspension or in-school suspension). Adjust CERT127 to take into account in-school or out-of-school suspensions that result from an incident that occurred in the prior school year on or after April 1. This will address the legitimate scenario where a student committed an offense in the prior school year, but the suspension was enforced in the next school year. Change CERT127 from a warning to a fatal error. The CDE will be sending letters to the superintendents of LEAs with discrepancy rates of 10% or greater (the total number of students with suspension days in STAS divided by the number of those students without a discipline record in SDIS), to inform them of the potential under-reporting of suspensions in 2017–18, and that this under-reporting may also impact the LEA's and school's 2019 suspension rate indicator on the California School Dashboard, which is based in part on change from the prior year. California Education Code (EC) Section 48900(k)(2) prohibits students enrolled in grades K–3 from being suspended solely for willful defiance (CALPADS code 511). Current law (EC 48910), however, does allow teachers to remove students in grades K–3 from class for willful defiance, which may result in an in-school or out-of-school suspension; therefore some suspensions of K–3 students for willful defiance are allowed. EC Section 48900(k)(2) prohibits students in K–12 from being expelled solely for willful defiance. EC Section 48900.2, (sexual harassment/CALPADS code 403), EC Section 48900.3 (hate violence/CALPADS code 505), and EC Section 48900.4, (harassment, threats, or intimidation/CALPADS code 506), prohibits students in grades K–3 from being suspended or expelled solely for these offenses. LEAs should ensure that their local discipline policies reflect current law and that students are not inappropriately suspended or expelled. Once data are submitted to CALPADS, LEAs can review the individual students who were suspended/expelled for these offenses by viewing CALPADS Report 7.5 Discipline Offenses – Student List and filtering on Student Offense codes 403, 505, 506, and 511. It should also be noted that while EC Section 48915(c)(4) (sexual assault/CALPADS Code 401, or sexual battery/CALPADS Code 400) does not restrict the suspension or expulsion of students to certain grades, it seems unlikely that young children would have committed such offenses. Since LEAs have reported students in grades K–3 as being suspended or expelled for these offenses, LEAs may also want to review their policies and procedures to ensure that students, especially young children, are suspended for appropriate offenses. If students are found to have committed such offenses, any discipline procedures should include a discussion with legal counsel as to whether such cases should be adjudicated through the juvenile justice system prior to expulsion. As announced in Flash #145, LEAs are required to report suspension and expulsion data for students attending Nonpublic, Nonsectarian Schools (NPS) beginning with the 2018–19 End-of-Year 3 submission. The CDE will be providing technical assistance to the NPS schools, which will include providing them the Student Discipline (SDIS) file so that they will know what to send to each district whose students they serve. Students with disabilities in postsecondary/transition programs enrolled in K–12 schools and programs. Adult-age students attending Adult Education Programs (AEPs) funded with Adult Education Program funding. Recently, there has been confusion about which of these adult-age students should be reported to CALPADS. The purpose of this communication is to clarify some of these issues. These students with disabilities have individualized education programs (IEPs), are 17 to 21 (inclusive) years of age, and are enrolled in K–12 schools or programs and receive special education services specifically focused on the student's transition from secondary education to career and college. Postsecondary/Transition Status Indicator set to "Y" – Yes (available for population in CALPADS in May 2019). Enrollment at the school where they receive the majority of their special education instruction and related services; or if they receive the majority of their instruction and services directly through a district-level program, the student should be enrolled in CALPADS at the district level. Students meeting these criteria will be excluded from the graduation rate denominators for traditional and Dashboard Alternative School Status (DASS) schools after their initial graduation cohort year. Note: Beginning in 2019–20, there will be a new enrollment status of 50 – Non-ADA Enrollment Status; once this enrollment status is available, LEAs should enroll these adult students using Enrollment Status 50. The CalSAAS will use data from the CTC and the CDE to identify potential misassignments and provide a communication platform for counties and school districts to address and resolve them. In addition, CDE staff will be providing information about the Promoting Equitable Access to Teachers (PEAT) Program and Title I equity reporting requirements on the Local Control and Accountability Plan (LCAP) Federal Addendum. Please visit the CDE CALPADS Training web page at https://www.cde.ca.gov/ds/sp/cl/training.asp for dates and COEs where training sessions will be provided, as well as registration links (if available). Beginning in 2019–20, public K–12 local educational agencies (LEAs) that administer Adult Education Programs (AEPs) are responsible for acquiring statewide student identifiers (SSIDs) for adult students who do not have an SSID, or who do not have a social security number (SSN) in the California Community College Adult Education Data System (California Education Code Sections 52523 and 78401). Fulfilling this responsibility will require a collaborative effort between the AEP staff and CALPADS staff. It is a local decision as to whether this work is conducted by CALPADS staff or AEP staff. If the decision is for AEP staff to conduct this work, the LEA CALPADS administrator must grant the appropriate roles in CALPADS to AEP staff to search for and assign SSIDs, and is responsible for training, overseeing, and ensuring appropriate use of CALPADS by those staff. Once the file is received, the LEA AEP should collaborate with the LEA's CALPADS Administrator to search for an existing SSID in CALPADS, and update their local adult education student information system with the SSID if one is found. Enrolling the student using Enrollment Status Code of 20 (Secondary Enrollment) in the LEA's Adult Education Center/Program (AEC should have a county-district- school code). Assigning the student in a grade level of AD (Adult). and student Exit Category Code 170 – SecEnrlExit. Uploading the SSID to the LEA's adult education information system. LEAs should then return the extract received from CASAS back to them with the SSIDs. NOTE: LEAs may begin searching for/requesting SSIDs for adult students at any time, and do not have to wait for the file from CASAS to begin the process. LEAs will need to acquire SSIDs for adult students enrolled in their AEP on an ongoing basis. AEP staff will have to work with the LEA's CALPADS staff to search for or acquire SSIDs for new adult education students. As noted above, it is a local decision as to whether this work is conducted by CALPADS staff or AEP staff. If the decision is for AEP staff to conduct this work, the LEA CALPADS administrator must grant the appropriate roles in CALPADS to AEP staff to search for and assign SSIDs, and is responsible for training, overseeing, and ensuring appropriate use of CALPADS by those staff. Beginning in 2019–20, a new enrollment status of 50 (Non-ADA Enrollment Status) will be available to use instead of enrollment status 20. As of Monday, October 8th, CALPADS has been up and running. The CALPADS team has mitigated the issue of users suddenly receiving an error message when working in the system; until the issue is fully resolved, we estimate that approximately 10% of users may experience an instance where CALPADS momentarily presents an error message.Should this occur, the user should log back into CALPADS. Our number one priority continues to be to fully address this problem, but note that this may take a few days. All CALPADS LEA Administrators with a current application on file with the CDE have now been issued an account. If you submitted an LEA Administrator application and have not received an email from CALPADS with your new account, please send in a service ticket to . 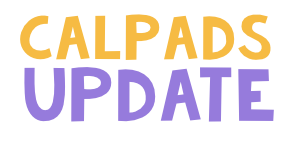 Reporting of issues: If you encounter difficulties as you work in CALPADS, please first consult the CALPADS Known Issues list to determine if the problem has already been reported and documented. You can find the Known Issues list via the CDE CALPADS web page at https://www.cde.ca.gov/calpads; select the link for Known Issues. In the table below, we have listed some of the most common problems currently on the Known Issues list, along with a target date for resolution. CALPADS LEA Administrators may potentially see users who are not associated with their LEA in the User Management List. This is a result of the new security module allowing “one-to-many” LEA associations. Please note that users on the list who are not associated with your organization are not authorized to view your reports or edit any of your data. To limit the results in the list to users associated only with your LEA type in your email domain (e.g., @fcmat.org) into the Email/Username box, then click Search. Unable to request SSID Extract and Rejected Records Extract by Job ID/Submitter. Accountability reports not displaying or Access denied. ODS Extract Downloads - Need to default to .txt file type extension to open in a text file. OM Dates displayed incorrectly: Student Enrollment/Demographics/SELA: Initial US Enrollment Date differs in grid vs modal. Server Application error accessing 0.0 - Candidate List Report. Certification Status: Snapshot Create Date displays in UTC. SENR SSID Enrollment ODS Extract - Unable to request file by Date Range. Job is not posting - status stays "in Review." SENR0005: IVR is triggering for NPS school. Forward slash (/) in file name causes jobs to get stuck "In Queue." Save file without forward slashes in the name. CALPADS Student data export to TOMS/ELPAC is not working. SELA0285: IVR False triggering (batch). 0.1 Student Submission Error Report: Job ID missing from SENR Submission Error Report. Prepare local extracts and upload files to CALPADS. Review the CALPADS Known Issues list when encountering problems. Firefox and Chrome are the recommended browsers; Internet Explorer (IE) may cause errors or unexpected behavior. We appreciate your patience as we work through this transition. We understand that the timing of the transition was not optimal, but were constrained by resources and the critical importance of giving LEAs until September 14, 2018 to update the data required for the 4-year Adjusted Cohort Graduation Rate needed for the California School Dashboard. In addition, this is a phased transition, with Fall 2 and End-of-Year (EOY) features (including historical reports) to be implemented by the end of the year. Given the transition, the CDE is discussing the most appropriate deadlines for the upcoming Fall 1 and Fall 2 submission. A recording of the October 3rd, 2018 Calpads Information Meeting. Closed captioning completed by the School Technology Leadership crew. :) If you find the timely resources found on this site useful, please consider signing up and becoming a member. It's always free and we don't spam or sell the list. Our goal is to get to 1,000 members by June, 2019! We can do it! The CDE is updating all LEA CALPADS Administrator applications to ensure that current applications are on file. LEAs that do not have a current CALPADS LEA Administrator application on file were sent an email last week directing them to submit a request for an application to the CALPADS Service Desk. Once you receive the application, it is important that you return it as soon as possible because you will not be issued a new CALPADS account until an approved application is on file. We are working to respond immediately to application requests and to expeditiously process completed applications; however, there is currently a seven day backlog of these tickets. You do not need to resend the service ticket if the CDE has not yet responded. If you did not receive an email requesting that you submit a new application, it is not necessary to submit a new application. CALPADS has a new security model, and all CALPADS LEA Administrators are required to attend training prior to being given an account to the new system. CALPADS LEA Administrators who are experienced users should attend Fall 1 Advanced, where the Fall 1 changes for the year and new security set up will be covered. Essential 2 can be substituted for the Fall 1 Advanced to learn about the new User Management functionality if you find those session times are better for your schedule. CALPADS LEA Administrators who are new to CALPADS or feel they need a more in-depth training, should sign up for Essential 2, followed by Fall 1 Reporting and Certification. When you attend a training session, it is important to include your first and last name when logging in to the event, so that we can track attendance for each individual. CALPADS LEA Administrators who have attended training and have a current application on file will receive an account to the new environment on October 3rd. These users will receive an email with instructions on how to set up their password and a link to the new site; the confirmation link in the email will expire within 24 hours. Once the LEA Admin account is established, you will need to create new accounts and add roles for any local users who may need access to the system. 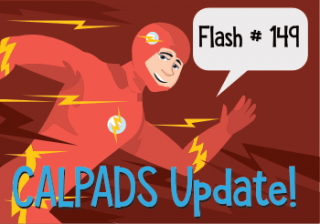 As noted in Flash 141, CALPADS will be taken offline on September 21 at 5:00 p.m. The file upload function will be disabled at 3:00 p.m. to allow for all jobs to finish posting. The revised re-open date is October 3, 2018. The Fall CALPADS Information Meeting (CIM) is scheduled for Tuesday, October 2, 2018. Registration for the October 2 CIM is now open on the FCMAT/CSIS Events web page at http://csis.fcmat.org/Pages/Events.aspx. The draft agenda is also available via this link. The meeting will be streamed over the Internet, and details about accessing the meeting will be sent only to registered attendees. To register, go to the FCMAT/CSIS October 2, 2018 CALPADS Information Meeting (CIM) web page at http://csis.fcmat.org/Pages/Oct-2-2018-CALPADS-Information-Meeting-(CIM).aspx and click on the "Enroll" link on that page, and then follow the on-screen directions. Please register no later than Monday, October 1 at 11:00 a.m. in order to receive logon information and meeting materials. If more than one person will be viewing the meeting together, please register only once, and enter the name(s) of the other attendees where indicated on the registration form. There is no cost to attend this meeting. 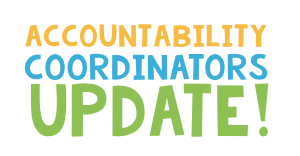 LEAs are strongly encouraged to attend to learn about system updates, upcoming changes for the Fall submission, and updates on accountability and other topics of interest. This year LACOE will facilitate three CALPADS networking sessions timed strategically around important CALPADS certification dates. The goal of these sessions is to support CALPADS administrators and CALPADS data technicians (not an official CALPADS term) as this data source becomes increasingly important in the world of Accountability. CALPADS administrators/data technicians are the target audience for these meetings. Network sessions will highlight data timelines, connections to the CA accountability (for context purposes only), best practices and procedures, and networking time. While LACOE will facilitate these sessions, most presentations will come from participating LEAs. 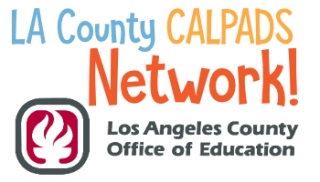 These meetings are not intended to replace any Accountability meetings that director level administrators attend as the CALPADS meeting focus will be on the nuts, bolts and best practices for working successfully and efficiently with CALPADS. In an effort to make these meetings accessible for our vast county, locations will vary. Registration for the meetings will come approximately two weeks prior to the meeting date. This message is to notify you that there have been several data reports released recently to both DataQuest and the California Department of Education (CDE) Downloadable Files web page. The DataQuest Reports are available here: https://dq.cde.ca.gov/dataquest/. The downloadable files are available here: https://www.cde.ca.gov/ds/sd/sd/. The four-year adjusted cohort graduation rate reports provide information about graduates, including how many met UC/CSU requirements, earned a Seal of Biliteracy, or earned a Golden State Seal Merit Diploma. The four-year adjusted cohort outcome reports provide information about all students in the cohort and all their four-year cohort outcomes. Each report is viewable by race/ethnicity, program subgroup, or with county, district, or school data. When the 2017–18 ACGR data are released, there will also be an option to view the data by academic years. Each report includes a report description, glossary, enhanced report options and filtering capabilities, and dynamic data suppression. Users will be able to apply filters to see data for all schools, charter schools, or non-charter schools. (Note: Charter school data are excluded from district-level reports by default; however, users can still include charter school data in district-level reports by adjusting the "School Type" filter on the reports.) Users will also be able to apply filters that include or exclude alternative school data or display data by one or more student subgroups. The CDE has also released a downloadable data file for the 2017 ACGR and Outcome data that supports many aspects of the new reports. The downloadable data file can be found at https://www.cde.ca.gov/ds/sd/sd/filesacgr.asp. 2. The CDE has also released the Staffing data for 2017–18. Downloadable data files for staff demographics (e.g., gender, race/ethnicity, education level, and years of service for teachers, administrators, and pupil services staff). Downloadable data files for course information (e.g., course enrollment, grade level, UC/CSU indicator, and NCLB core and compliant status) as well as assignment information (e.g., type of staff and time base). 3. The CDE has also released the standardized test results from the SAT, ACT, and AP tests which measure high school students' achievement. If you have any questions regarding DataQuest or the reports and files included in this data release, please contact the Data Reporting Office by phone at 916-327-0219 or by e-mail at . Removed Ungraded Elementary and Ungraded Secondary verbiage from Field # 1.24 (Grade Level). Added new comment for District of Choice to Field 1.30 (Student School Transfer Code). Added “K-12” to Data Element Public Name for Field Number 2.36. Removed Pregnant and Parenting and 504 Accommodation Plan under participating and added to eligibility. Corrected Field Number and Data Element Public for Student Initial US School Enrollment Date K-12. Added note that Grade Level = Ungraded Secondary (US) was retired on June 30, 2018. Added note that Grade Level Code Ungraded Secondary (US) is retired as of 6/30/18 but available for transactional purposes prior to AY 2018-2019. For valid grade levels, added note that Grade Level Codes Ungraded Elementary (UE) and Ungraded Secondary (US) are retired as of 6/30/18 but available for transactional purposes prior to AY 2018-2019. T270 – added note that code was retired at the end of 2017-18. T310 – added note that code was retired at the end of 2017-18 and exit code E410 to signify that student withdrew, etc. T460 – added note that code was retired at the end of 2017-18 and additional information on transferring to private or public school. ​We are nearly finished with the build-out of the CALPADS reports section of the website. We've listed the 84 active reports (both certification and support). For each we list the name of the report, a screenshot, description, and list of the data elements (the actual headers of the report). Eventually we will add some additional info for each. Registered members can also post comments/questions/tips for each. Below is a PDF of pages 55 through 69 of the CALPADS Data Guide Version 9.3 that explains various program eligibilty and participation guidelines. There are more than 130 known errors in the CALPADS system currently. If you are having difficulties with some errors or totals not working out as expected, try consulting the attached excel file. It may contain information about your particular situation that may be impacting your district's data. Here's a PDF of today's CALPADS Flash. A short 20 minute video explaining the "big picture" of the CALPADS end of year process. Reminder: EOY deadline is July 31, 2018! 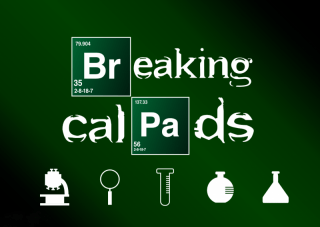 CALPADS FALL 2 deadline extended! 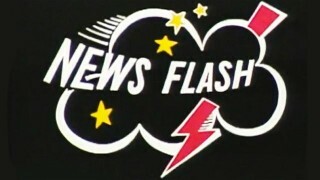 The February 23 CALPADS Fall 2 certification deadline has been suspended. The final Fall 2 certification deadline (the close of the amendment window) remains March 23. It is important for local educational agencies (LEAs) to certify their Fall 2 data submission on or before March 23, 2018 in order to report their official staff full-time equivalent (FTE), English learner (EL) services, and student course enrollment data. Because there will be no February 23 deadline, no letters will be sent to superintendents of local educational agencies (LEAs) that do not certify by February 23. LEAs with certification errors should continue to resolve errors as soon as possible in order to focus on reconciling the certification reports. Please feel free to contact the CALPADS Service Desk if you have any questions or any concerns, or would like any assistance.